Happy Easter to everyone who celebrates it :). So this is my Easter manicure- well, not typical "Easter colors" but that's how I roll ;). I got Nars Zulu in a blog sale from Blushing Noir.You might've seen a lot of swatches by now but mine has a little "twist"- I've added a fimo decal. 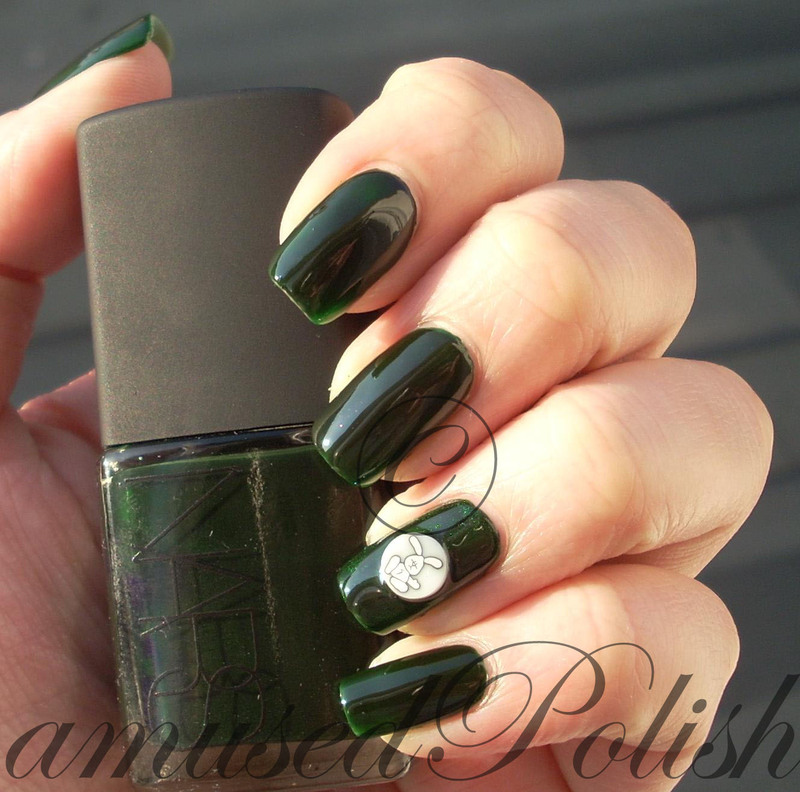 Anyway, Nars Zulu is a gorgeous emerald green Jelly. The first 3 coats were quite streaky and might even be patchy if you aren't careful with the application but the 4th evens everything out and you can't really see the streakyness anymore. 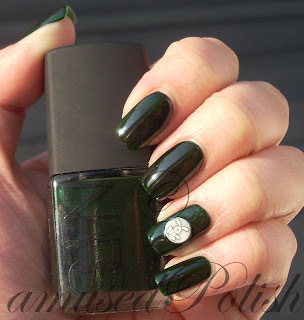 If you look at the polish in indoors, it's still green (well, probably not if it's really really dark). 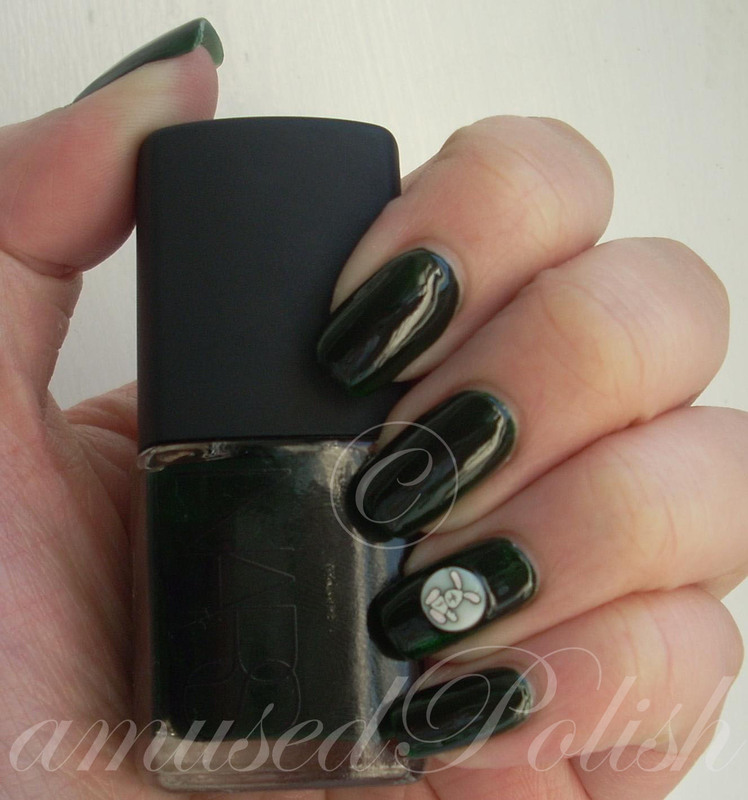 It really is a great jelly polish and I can't think of any others that are as awesome as Zulu is.